I’ve been trying my hand at larger forge welding projects and decided to make some simple anvils in a style common to the Viking Age. The anvils were presumably mortised into stumps fairly deeply to give them good support for hammer work. 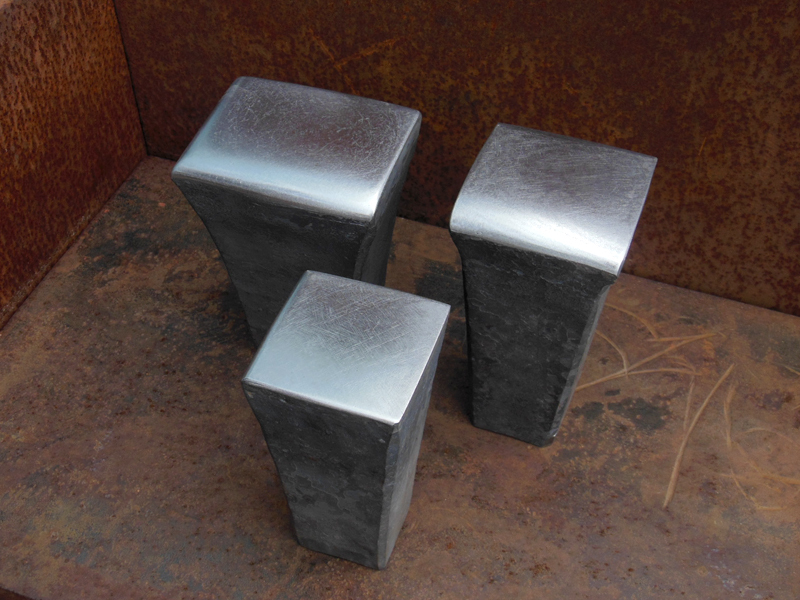 The main challenge in anvil forging is to weld a high carbon steel face plate to a body of mild steel. The weights of the anvils shown range from 5 to 8 kilograms (11 to 18 pounds). The forge welding is done in a coke fire with the high carbon steel face tack-welded on the corners to the mild steel body. The most important thing is to be patient and get the pieces evenly heated to a very bright welding temperature without burning the steel face. Anhydrous borax is used as the flux. The welding is done with striking hammers wielded by two-man teams – usually myself and a friend. 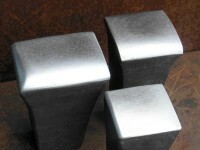 It typically requires 8 or 10 heats to finish welding and shaping a small anvil and the work is hot and strenuous. Nevertheless, we are gaining experience in heating larger masses of metal and learning different methods to get the welding done. The videos show short segments of the welding work. Someday I hope to turn out similar anvils with horns so I can forge Viking style axes with the proper tools! Posted	on Thursday, March 17th, 2016 at 12:24 am	under Tools. So this style is simply mortised into a stump with no shank? How are these secured for use? You mention a mortice; so they just drop in a snug hole? Are these just for practicing the face welding, or are they the correct size entirely? It is very exciting to see this kind of work. Thanks for sharing your explorations! I am looking for a broad/carving axe. 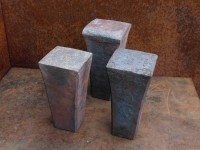 Very interesting style of anvil. It would make a nice one to use for demonstrations.